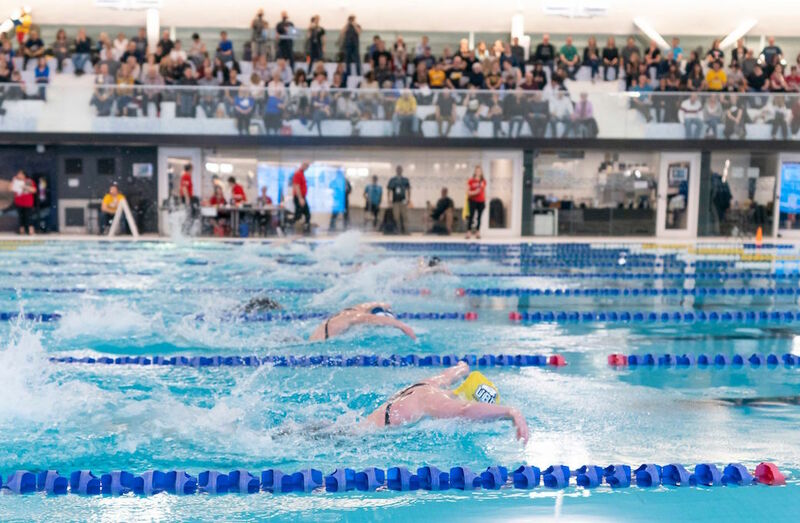 It was a record-setting start to the 2019 U SPORTS Odlum Brown Swimming Championships as seven meet records were broken on Day 1 at the new UBC Aquatic Centre. The reigning national champion UBC Thunderbirds currently occupy first place in the women’s standings with 500.5 points, the Toronto Varsity Blues sit in second (389.5) and the Montreal Carabins finished the day in third (252.5). The Calgary Dinos hold the fourth spot (188) and Victoria Vikes are in fifth place (131). On the men’s side, the Dinos (372) lead the defending champion Thunderbirds (330.5) in a battle for first place, Toronto is in third (268), while McGill (240) and Victoria (182) round out the top five. 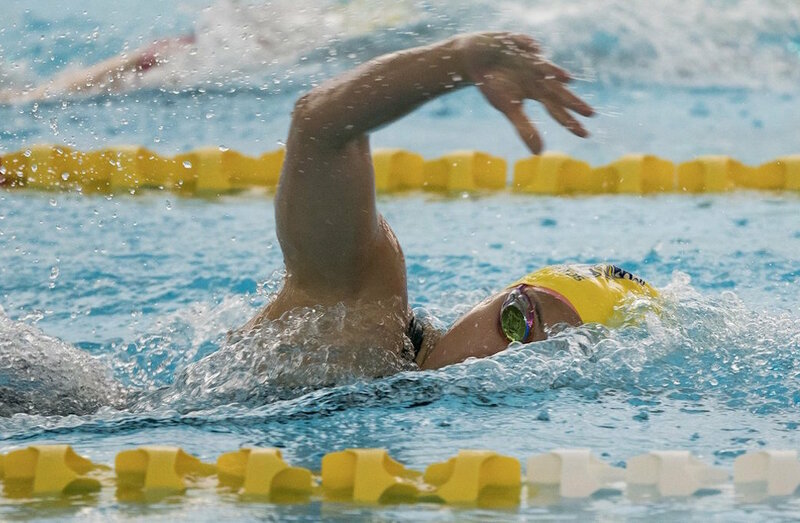 Toronto swimmer Kylie Masse set the first meet record of the evening by breaking her own U SPORTS mark in the women’s 100m backstroke (59.33) to earn her fourth consecutive gold medal in the event. The 2016 Olympic bronze medallist and former world record holder is competing in her final U SPORTS championship for the Toronto Varsity Blues. RECORD ALERT! @ubctbirds break the @USPORTSca record on their way to win gold in the men’s 4x100m Medley Relay in 3:41.62! 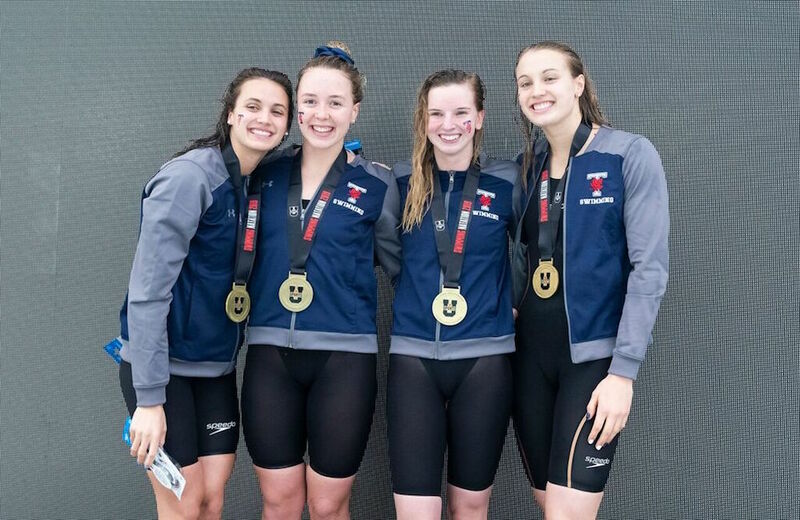 Her Varsity Blues squad did just that in the women’s 4x100 medley relay, as Kelsey Crocker, Hannah Genich, and Rebecca Smith joined Masse to set a new U SPORTS and Canadian club record with a time of 4:05.55. Olympic bronze medallist Emily Overholt, 2018 Commonwealth games bronze medalist Markus Thormeyer and fifth-year senior Josiah Binnema each set U SPORTS records for the host UBC Thunderbirds as they strive to defend their national titles. Overholt set a U SPORTS record in the 400m freestyle with a commanding victory in 4:06.27 as her T-Bird team swept the podium. Megan Dalke earned silver (4:15.57) and Maia Brundage took bronze (4:16.48). Meanwhile, Thormeyer won his third straight gold medal in the men’s 100m backstroke with a U SPORTS record time of 53.78. Robert Hill of the Calgary Dinos claimed silver (56.27) and teammate Anders Klein captured bronze (56.38). Thormeyer’s second U SPORTS record came in the final event of the night when his T-Bird 4x100 medley relay team (along with Jaren LeFranc, Binnema and Alexander Pratt) won gold in 3:41.62). Binnema also set a new U SPORTS record with a time of 52.89 for his second consecutive gold in the 100m butterfly. Fellow fifth-year Thunderbird Alex Loginov earned gold in the 50m freestyle with a time of 23.21. 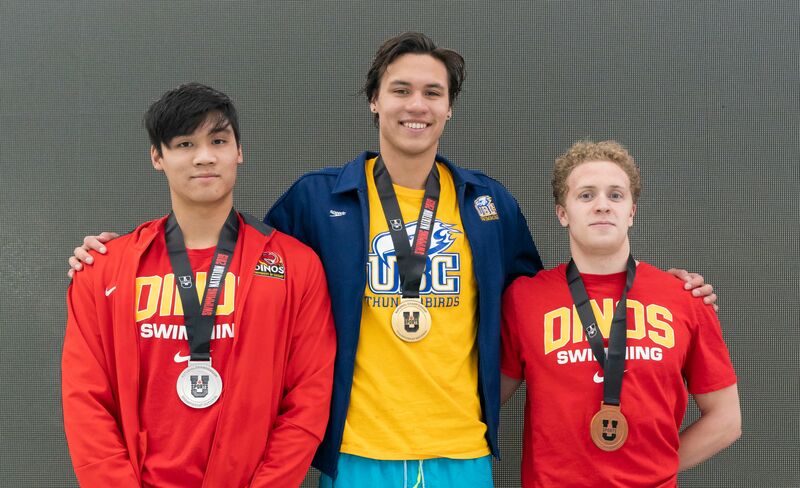 Montana Champagne also set a U SPORTS record in the men’s 200m individual medley with a time of 2:02.09 to capture gold for the University of Ottawa. Manitoba’s Kelsey Wog defended her gold medal in the 50m breaststroke (31.80), while also topping the podium in the 200 IM (2:13.98). Day 2 of the 2019 U SPORTS Odlum Brown Swimming Championships begins Friday morning with preliminary races at 1 p.m. ET / 10 a.m. PT and finals set for 9 p.m. ET / 6 p.m. PT.